The natural beauty of Boulder Turquoise is just stunning to me...I LOVE the way the brilliant blues or greens 'pop' against the host rock! 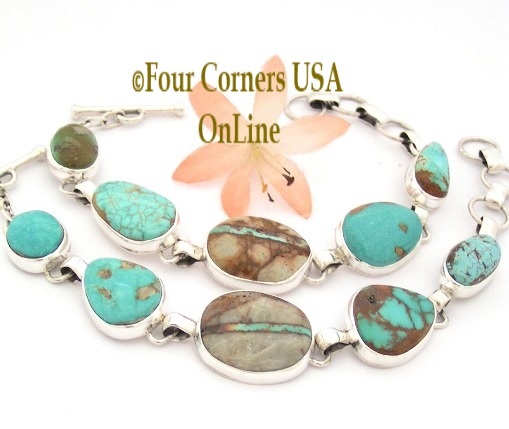 Commonly referred to Boulder Turquoise comes from the revered Pilot Mountain and Royston Turquoise Mines in Nevada. Boulder Turquoise is simply when a stone cutter takes natural vein Turquoise (Turquoise in its natural host rock) and cuts in the direction to create the vein going through the rock like a ribbon or splotches of Turquoise in the host rock maintaining much of the host rock. Boulder Turquoise will sometimes be referred to as Ribbon Turquoise. The 'Ribbon' is simply when the lapidary obtains that 'sliver' of Turquoise against the stone creating a Ribbon effect. 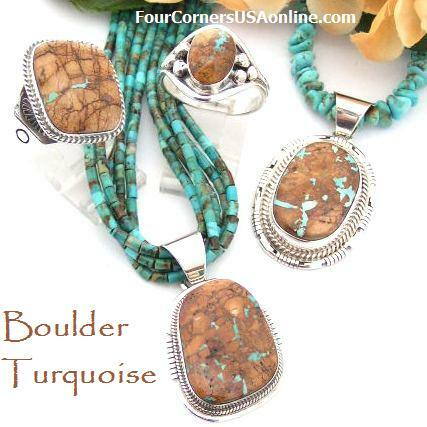 The uniqueness of the Turquoise patterns that map through beautiful and varied brown boulder stones really gives Boulder or Ribbon Turquoise jewelry its own distinctive flair.